The norman rebuild of 1244-54 seems to have swept most of Rhys' castle away. Apsidal D-shaped towers projected out from the rebuilt enclosure walls and the rocky faces around the promontory were faced with stone revetment walls which made them difficult to climb or undermine. The northern end of the castle was dominated by a large apsidal tower, known as the great tower, which was built out into the ditch to provide flanking fire. Large triangular buttresses similar to those seen at Goodrich castle reinforced each sides of its front face. There were at least 2 stories above a deep basement and an attic room. 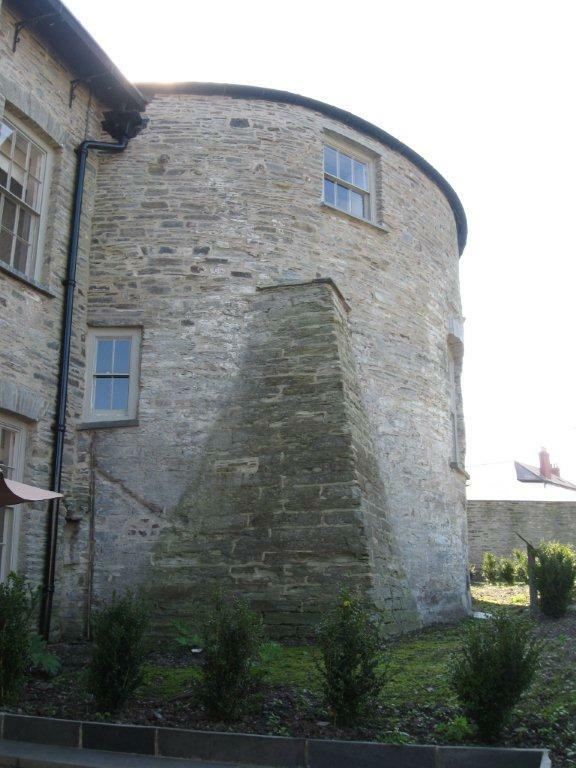 This tower was incorporated into the 19th century mansion and its semi-circular face projects from the north wall of the grand house. 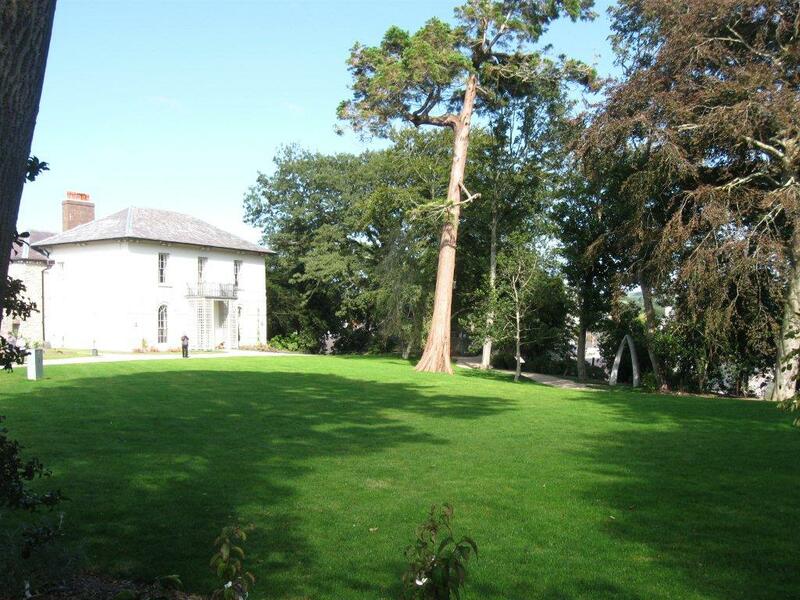 The remains of the great tower incorporated into the 19th century house. The protective ditch has been filled in and the garden has been raised above the original ground level. The buttresses at each side of the great tower provided additional strength where it projected into the dry moat. 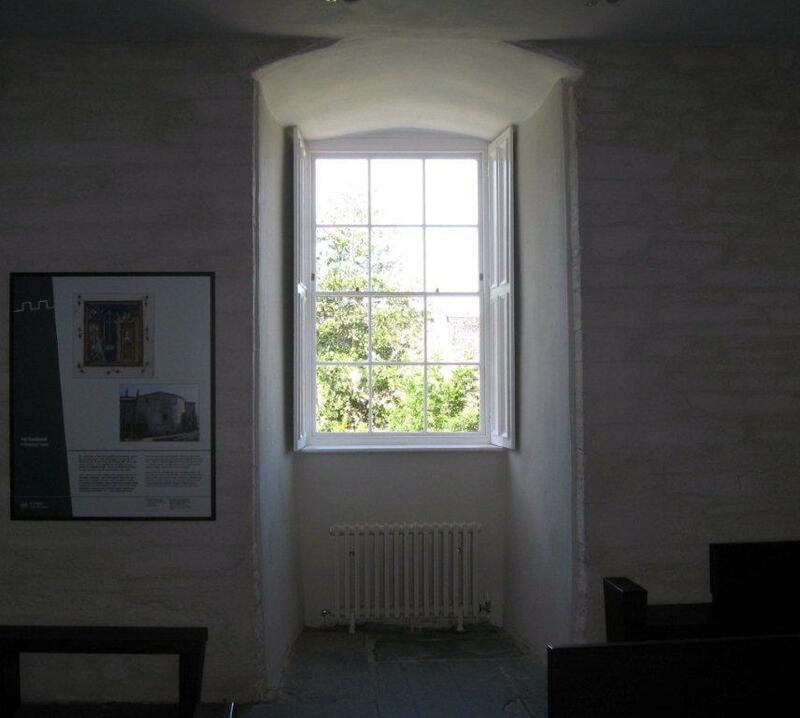 The rectangular windows of the later mansion occupy the positions of the original embrasures. A rectangular bastion or tower base occupies the north eastern corner of the castle and projects beyond the line of the walls. It has been damaged and its completed form can only be guessed at. The north east bastion with the post-medieval house beyond. The garden wall at the upper right of this picture marks the position of the outer bailey. A further two towers exist on the eastern side of the castle but the wall between them was removed during landscaping to improve the view from the mansion. A slope overlooking the river was made between the towers to create a hanging garden. The eastern tower is unusual in having a flattened face on an otherwise rounded exterior and it would have provided good internal accommodation without the weakness of square corners, which tend to collapse when undermined. The truncated east tower. The wall in the foreground appears to have been constructed in later years to retain the garden slope. At the inner face of the east tower, two flights of stairs descend from courtyard level past side-facing arrow loops to guardrobe chambers at the front of the tower. The south east tower is apsidal, having a rounded front face on an elongated rectangular plan. The fabric of this tower has been damaged, repaired and then modified when the ruins were landscaped. Unfortunately the rear of the tower is missing and its relationship to any adjacent buildings is unknown. 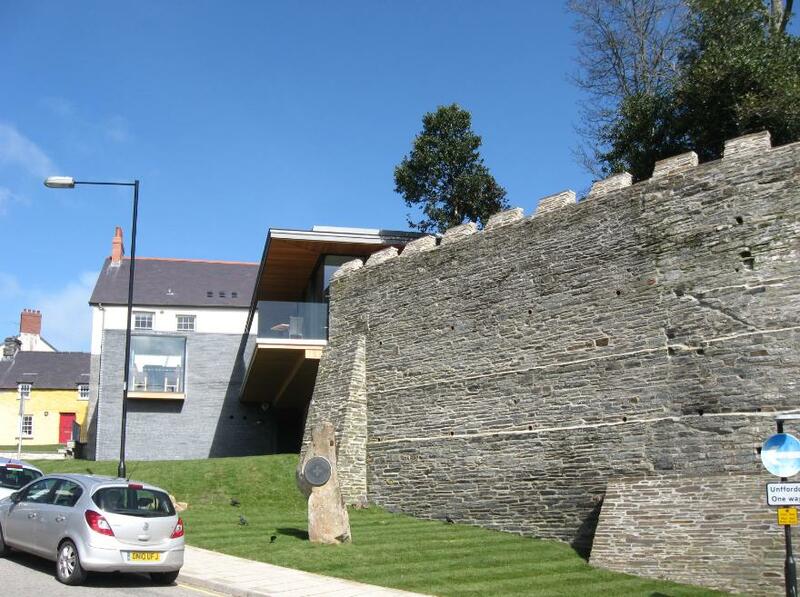 The south east tower and southern revetment wall. The tower has been altered and is lower than it would have been. 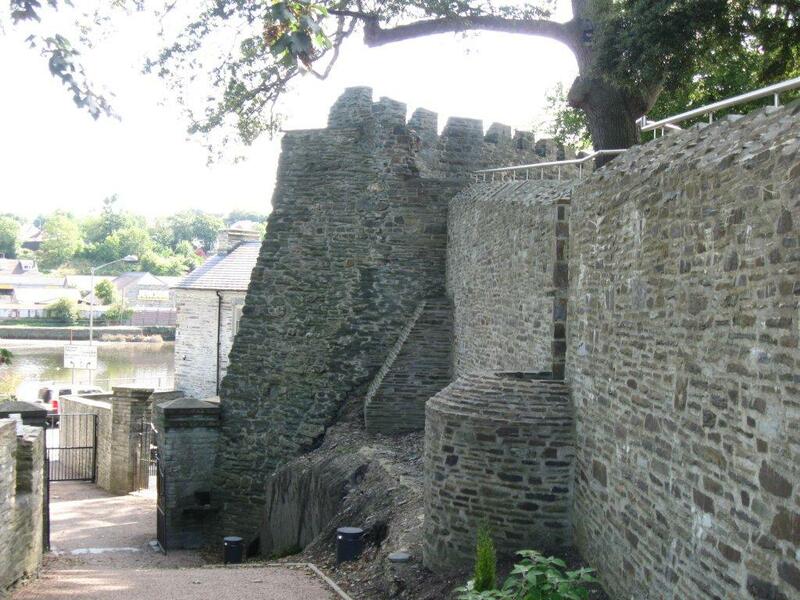 The southern end of the castle beyond the south-eastern tower is characterised by high revetment walls that have been built down the outer face of the natural cliffs and then levelled up to the courtyard level within the enclosure. The towers were built down the face of the walls to give good flanking fire. The view along the outside of the southern revetment wall from the south east tower. 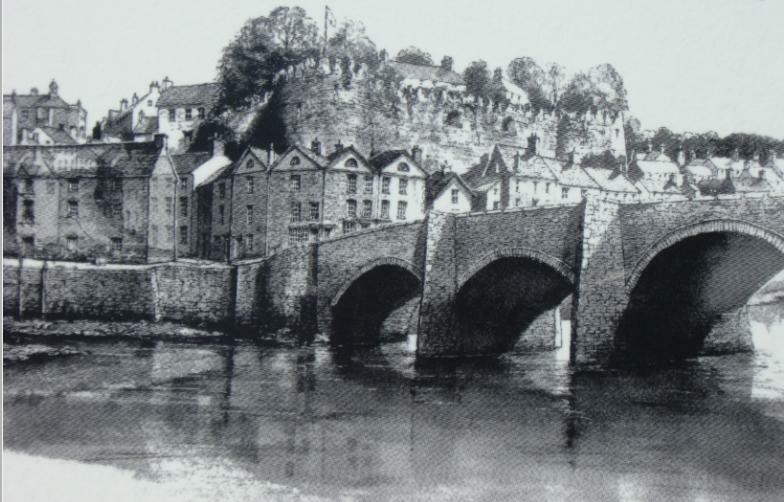 The road and bridge did not exist in medieval times so the castle was on the riverbank. A sketch of the southern side of the castle taken from the tourist information board across the river. The west side of the enclosure from the south-western corner to the great tower appears to have been almost completely demolished when the castle was slighted in 1645 (as can be seen in old paintings/illustrations) and the current enclosure wall on this side has been shown to be post-medieval. 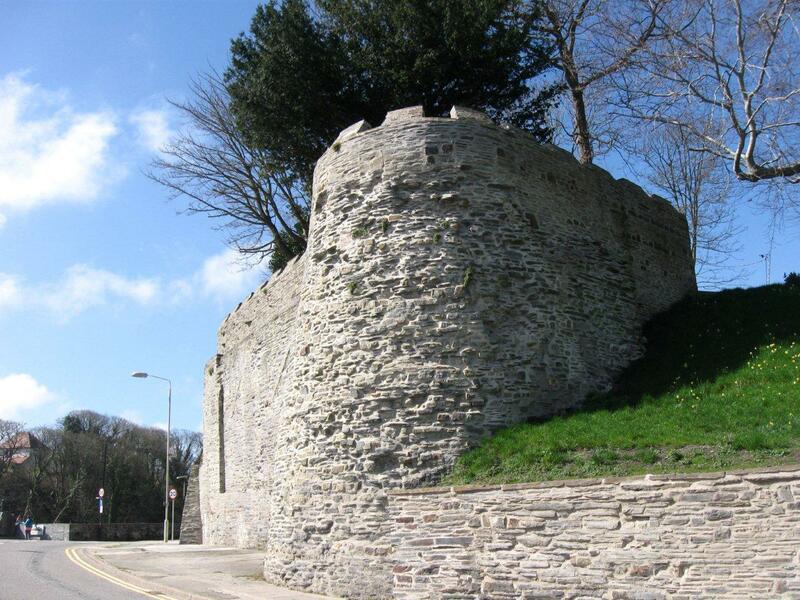 It seems likely that at least one other tower or bastion was situated near the south eastern end of the promontory to provide flanking fire for that part of the castle but due to later rebuilding of the revetment wall it seems impossible to tell one way or the other. The southern corner of the castle, which may have been the site of a demolished tower. 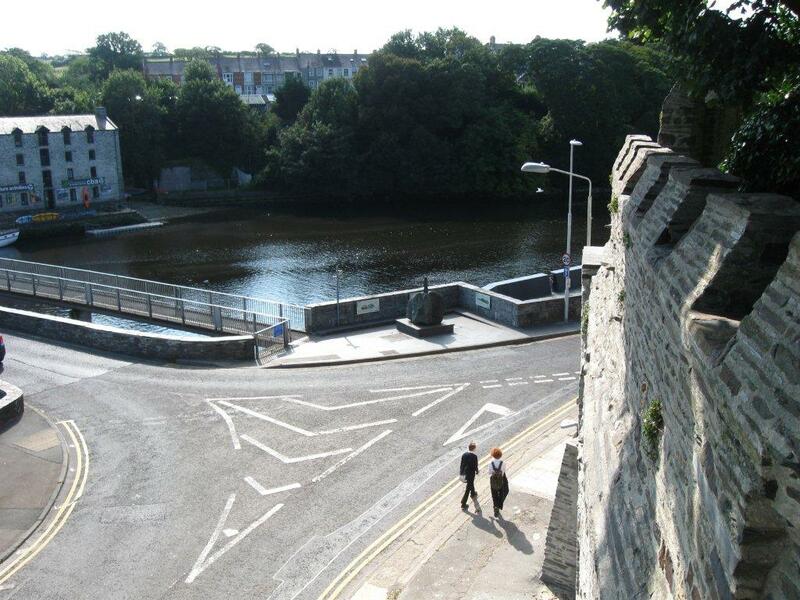 The revetment wall to the left is a later rebuild. A modern restaurant inserted into the western revetment wall where a 20 foot section of it had previously collapsed. There has been some debate about the location of the gatehouse but the current entrance on the west side of the enclosure must be a prime candidate. 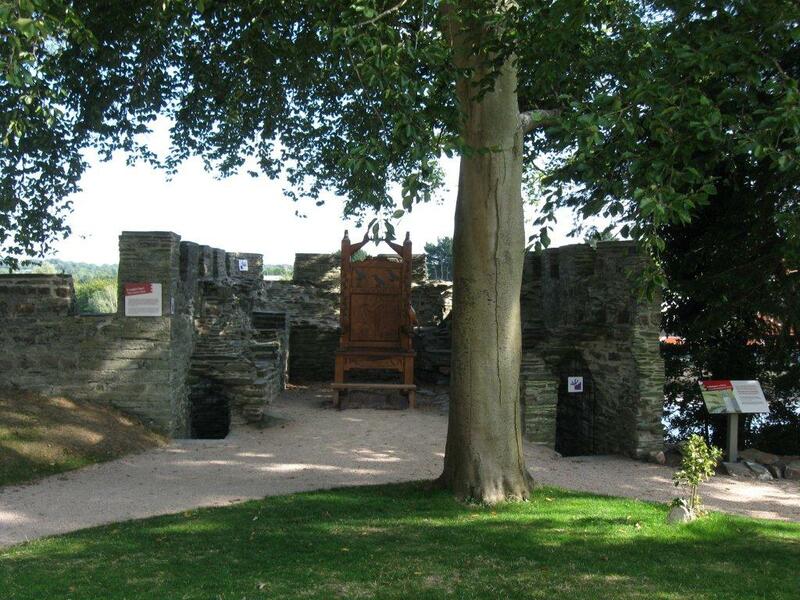 A twin towered gatehouse with a turning bridge across the moat are listed in a survey made in 1341. Later surveys mention rooms either side of the gatehouse and a Chamberlain's apartment above. 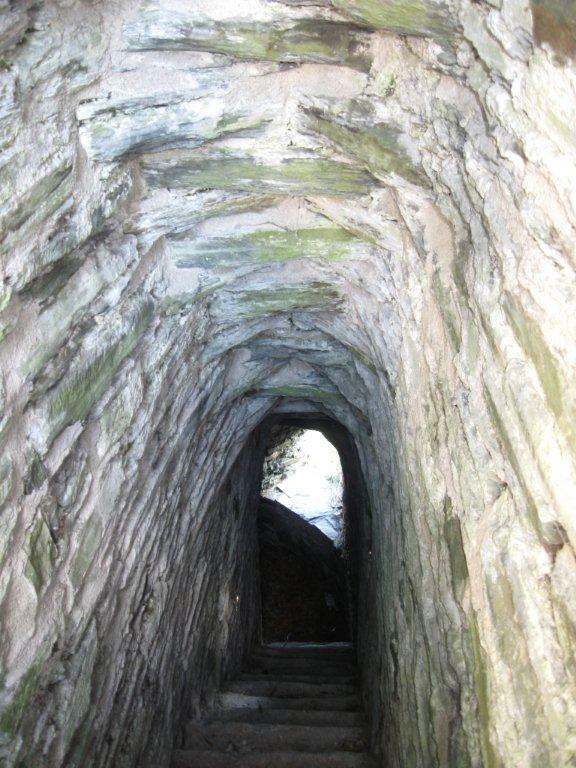 The passage towards the presumed site of the main gatehouse. 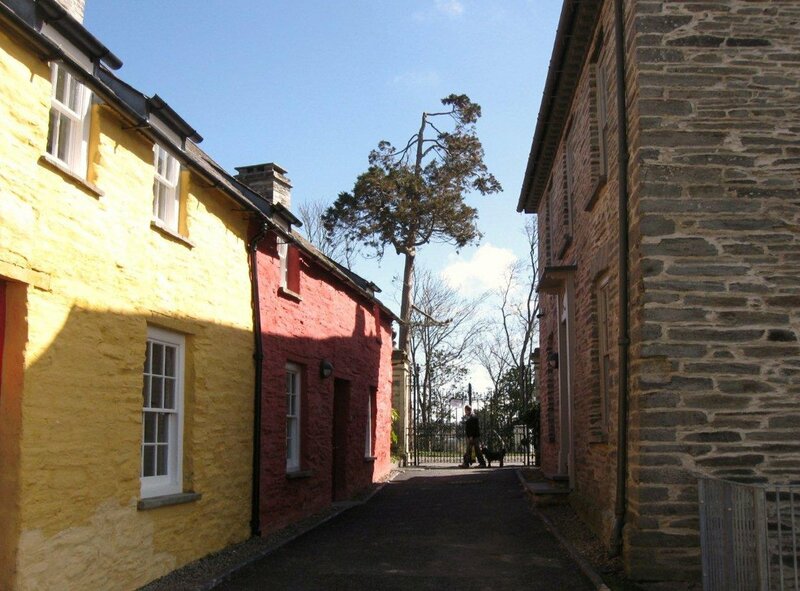 The cottages either side are much later. Also mentioned in surveys are an exchequer tower or room and its ward, a prison tower next to the great tower and an inner enclosure called the constable's yard that surrounded the inner face of the great tower. 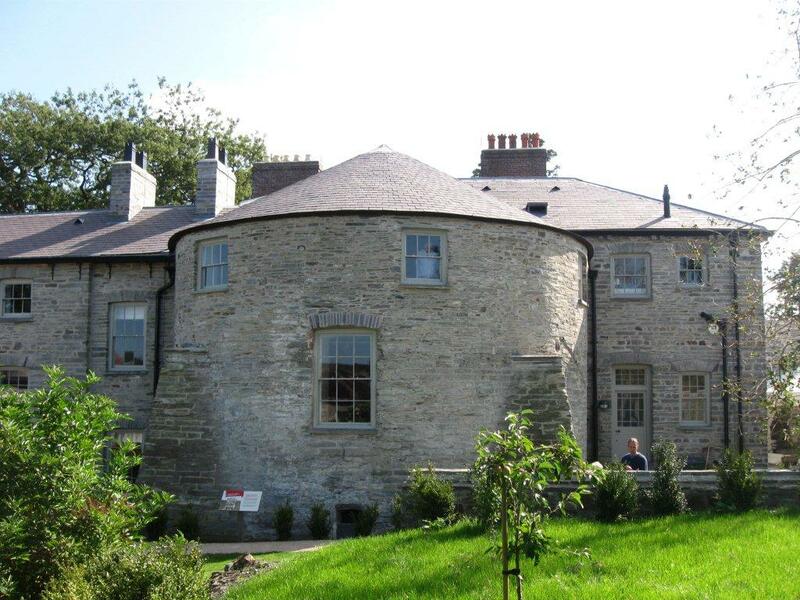 Other buildings listed were a chapel, bakehouse, kitchen, hall and stable. A view across the enclosure towards the north east bastion. The restored mansion is to the left. 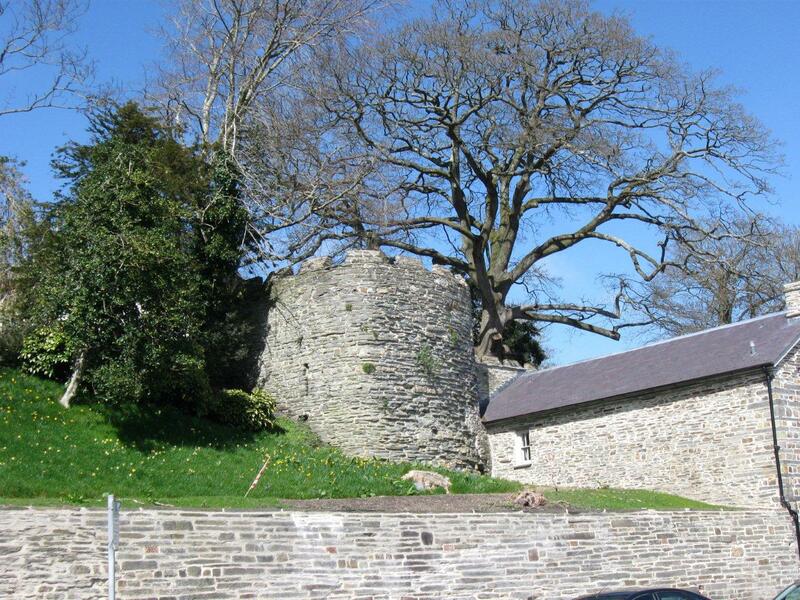 A turret was completed 'at the angle of the walls' in 1321 but it's location and form are unclear. 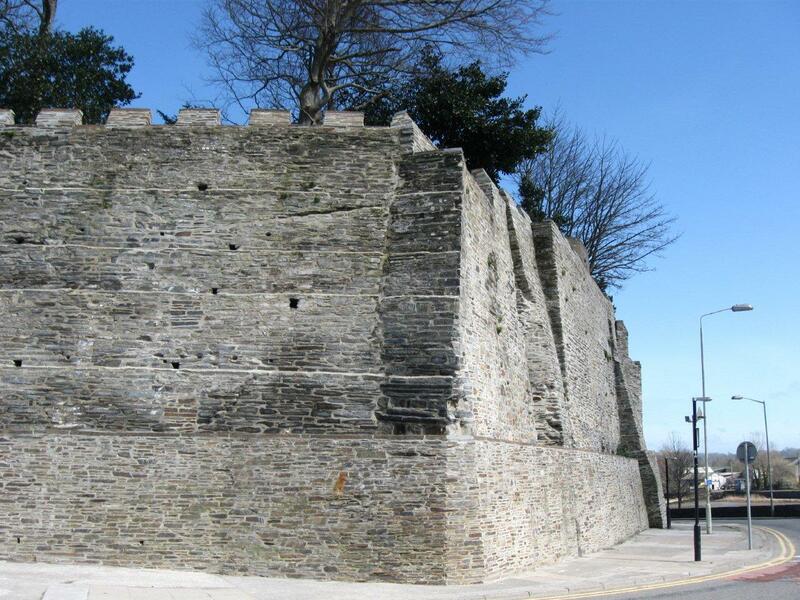 It may have been the north-east bastion or a turret added to the southern revetment wall above a reinforcing buttress. The east and south east towers seem to be too large to be called turrets. Another view of the north east bastion. Could this be the retrofitted 'turret at the angle of the walls' ? 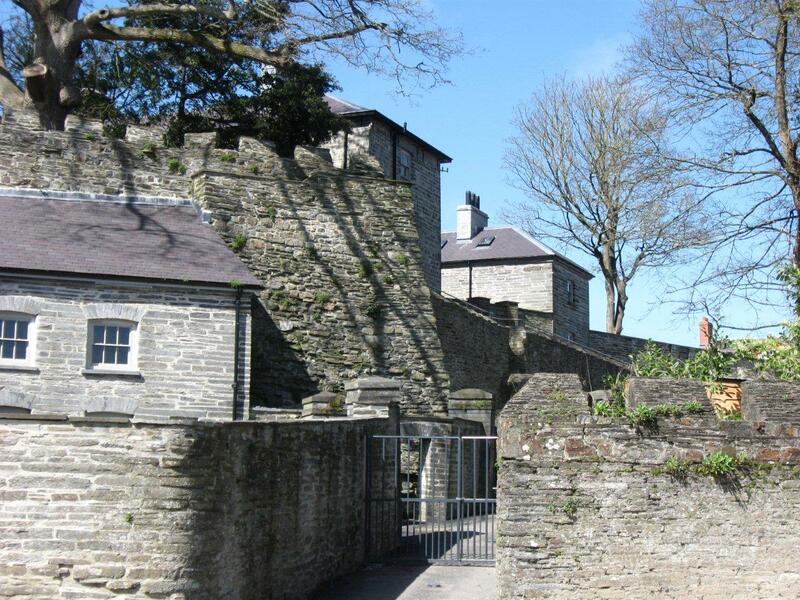 Continue to the Cardigan Castle timeline.